I have used linen with wool batting and cotton backs. 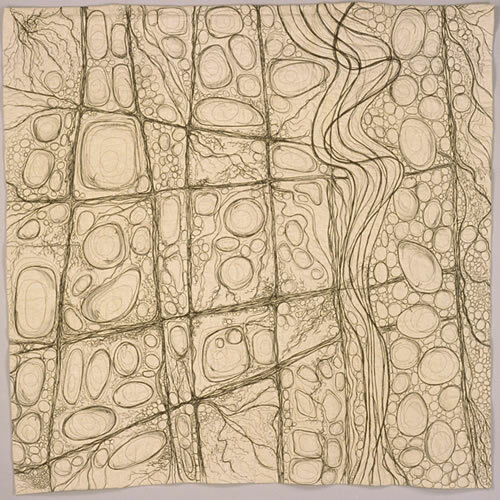 The thread drawing is the design line as well as the quilting. I used all black thread on these whole cloths. The 150cm x 150cm quilts are the largest I have made using this technique with which I have been experimenting over the past 12 months. For this size work I drew a loose grid first and worked from there within the grid lines. The stitching I find rhythmic and satisfying for me - similar to swimming in the baths.